This project challenge is suggested after class investigation and definition of pulleys and pulley systems. The class should have had a discussion or read books to have context for their creations. Always review the group-defined rules for positive collaboration. 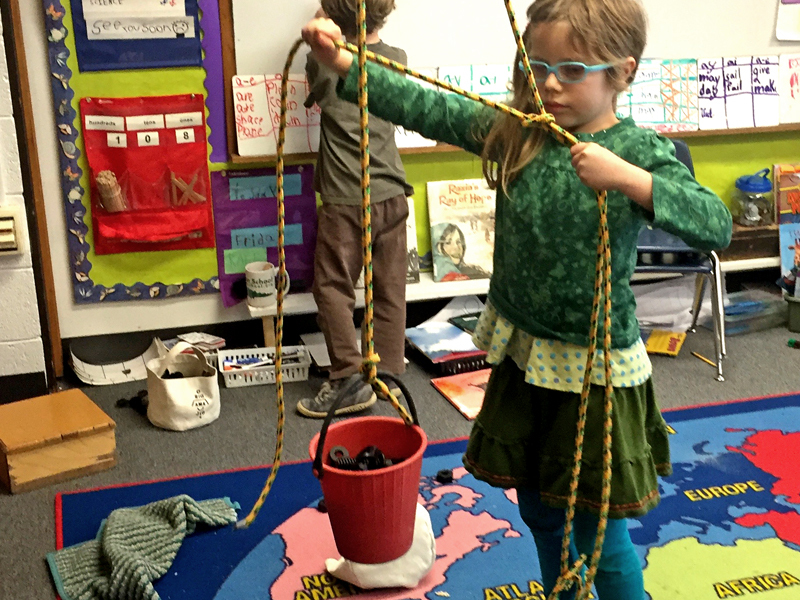 Begin by discussing with students where they have seen pulleys and where they are used around their classroom i.e. blinds or in life outside of the classroom. 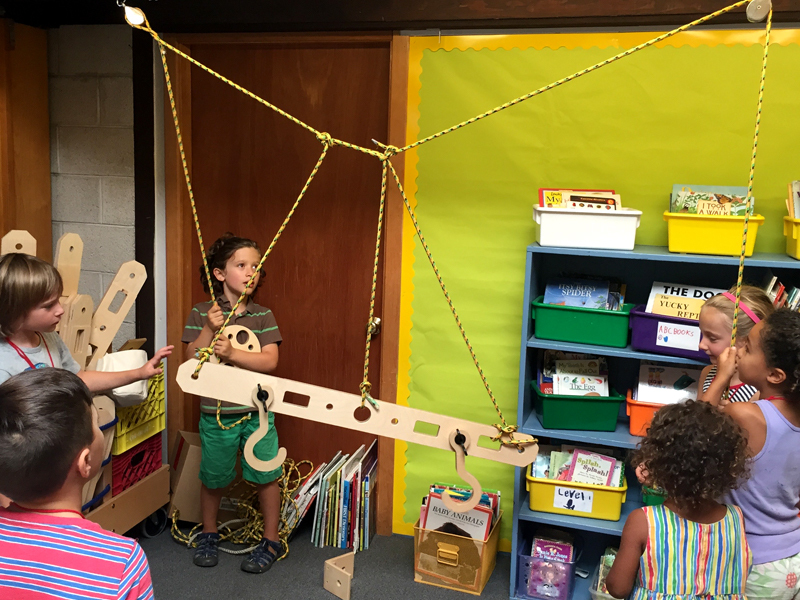 The challenge is to lift the heavy items to a pre-determined height using a single pulley or pulley system. Divide up Rigamajig kit equally amongst the groups. Provide students with heavy objects and have them experiment with lifting them without any assistance. Create groups of 2 to 4. Each group should come up with a group name. This encourages camaraderie amongst the groups and makes it easier to address the groups as they work. Provide paper and pencil for students if they would like to draw their ideas while brainstorming and making plans with their group members. Is there a difference in the work being easier if one uses a pulley? Ask the students to give reasoning for their findings. Does the work become easier with more than one pulley? Tell us about a problem you encountered and how did you and your group members solve it?